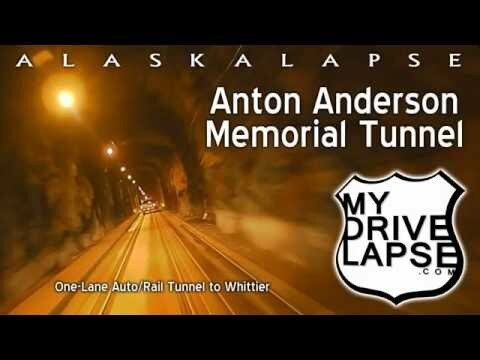 Anton Anderson Tunnel to Whittier, Alaska: Driving It! The drive to Whittier, Alaska requires an interesting drive through a railroad tunnel, which also accommodates one lane of vehicle traffic. The Anton Anderson Memorial Tunnel is the longest railroad-highway tunnel in North America. Valdez to Glennallen: Thompson Pass Rainbows!